On January 25, a delegation of five people, including Minister Liu Chun from International Organization for Foreign Affairs, University of Stradiuss of Malaysia, visited our school. Director Wang Haiping and relevant staff from International Education Exchange Center attended the symposium at Room 510, Hongzheng Building. At the symposium, Director Wang Haiping extended a warm welcome to the visit by the delegation from Studiya University. She introduced my school's history, professional settings, personnel training and international cooperation and exchange in detail. She also broadcast the "journey" of my school's propaganda documentary live and vividly demonstrated the features and advantages of running my school. Minister Liu Chun also brought Stikya's promotional video and introduced the history, scale and foreign exchange details of ST University. He fully recognized the school orientation and personnel training direction of STU and hoped that with this the second visit is an opportunity to establish a cooperative relationship between the two universities and provide a platform for more faculty and students to learn and exchange better abroad. The two sides conducted a preliminary discussion on specific ways of cooperation. Founded in 1986, University College Sedaya International (UCSI) is located in the heart of Conrad Gardens in the capital city of Malaysia. It is recognized by the Ministry of Education of China and the globally recognized higher education institutions overseas and abroad that can award undergraduate and postgraduate diplomas It is also the university with the highest graduation rate and employment rate in Malaysia. Its disciplines include medical, agronomy, science, art, management, economics and pedagogy. More than 10,000 students are enrolled in the university and international students the proportion of 30%, of which 650 Chinese students, other students from more than 60 countries and regions. Ide University attaches great importance to exchanges and cooperation with Chinese universities, has been with Tsinghua University, Shanghai University, Yangzhou University, dozens of colleges and universities to carry out undergraduate and master's program cooperation. 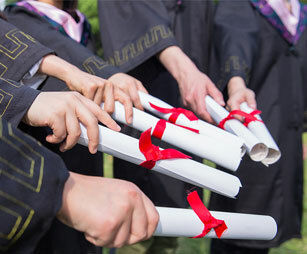 Chinese graduates over the years, or go to Europe and the United States to continue their studies, or to enter multinational corporations, more outstanding students to create a foreign student enterprise. China's "One Belt and One Road" policy of international cooperation has not only led to the development of economy and trade in Malaysia but also promoted the interaction in the field of education between the two sides.